David Moyes will be under no illusions as to the scale of the task ahead of him after his West Ham side were thrashed 4-0 by Everton on his return to Goodison Park. The Hammers are undoubtedly in a survival scrap and are keen to avoid a repeat of last January, when key man Dimitri Payet forced a move away from east London. However, they could have a fight on their hands to hang on to Manuel Lanzini, as ESPN claim Tottenham are very interested in acquiring the 24-year-old’s services. The midfielder is a compatriot of Argentine boss Mauricio Pochettino, and the Lilywhites manager has been thoroughly impressed by him whenever the two sides have met. Lanzini scored the winner in the 1-0 win at the London Stadium in May, and he had already netted twice previously against their bitter rivals. 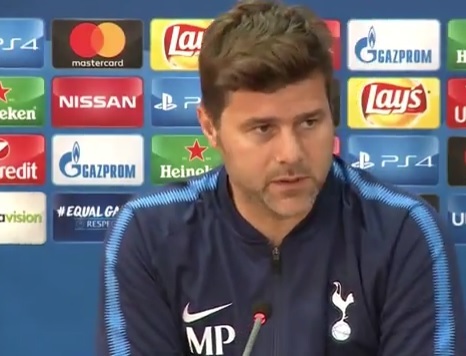 Amid a slump in form, Pochettino is looking for ways to address his team’s lack of creativity going forward – it was glaringly apparent against Leicester and has arguably held them back at Wembley this season. The absence of Kyle Walker has been felt down the wing, but Spurs have also look clustered down the middle. West Ham are likely to put up a struggle to keep Lanzini, with Pochettino ready to test the board’s backing of Moyes.